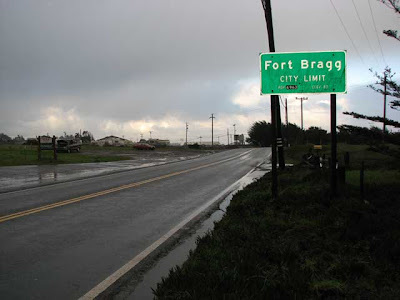 I made a mad dash between rain squalls to bag the last Fort Bragg city limit sign and here it is. This is for the folks entering Fort Bragg from the north. Heading home I decided I better check Airport Road and sure enough, a seventh one!! 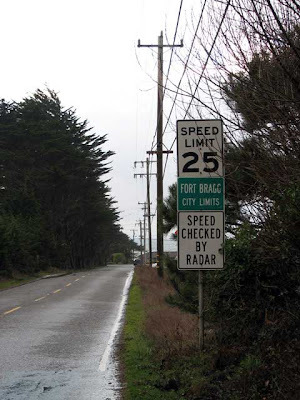 A total of seven Fort Bragg city limit signs. I think I have visited and photographed all of them now. 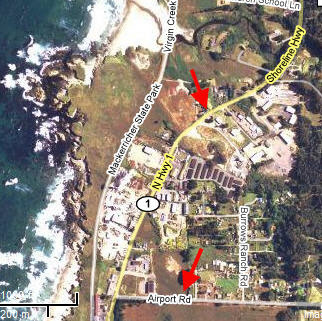 These two are located as shown in the map. 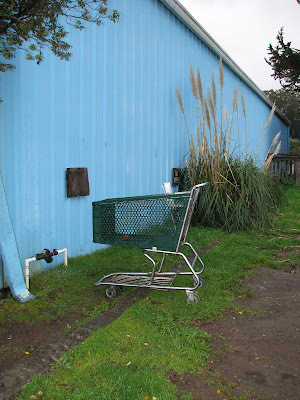 Along the way I captured another shopping cart for my photographic collection and then it poured!! Spring weather has arrive early this year.